I recently spent a weekend visiting my son. On the trip I made some good -- and a few less-than-good -- decisions before, during and after flying. I was able to get out to see my son, his wife and their house for the first time. Since this was a weekend trip I just carried a day pack with a change of clothes and some personal items. I didn't have to go through the normal Travel Nazi screening, since my Boarding Pass came out with the Pre-Check logo on it(! ), so that meant no removing my belt, shoes or being irradiated! I did have to empty my pockets and put my pack through the x-ray check, though. I forgot to take my pen out of my pocket and was asked to put it in the tray, which I did. It is a metal body Zebra F 402 ball point, which I've carried for many years. I like this model because it has a medium diameter and a comfy rubber pad that feels nice in my hand. When I worked at my local gun store, a Deputy Sheriff commented on my writing instrument saying it was the pen of choice of his department since it was sturdy and not an obvious Tactical Pen. I had not thought of it as tactical or even Tacti-Cool, just practical. Besides, if it ever gets to the point (heh!) where I'm thinking of needing to use my pen in a self-defense situation, I'm in big trouble. Two lines over, however, was a guy having a problem getting through the checkpoint. It turned out that he had a tactical-looking Tactical Pen and was having a difficult time getting it out of the screening area. From eavesdropping on the 'discussion', part of the holdup seemed to be the guy's tone and manner of speaking to the Travel Nazis. While I don't believe the TSA is a legal operation or has done anything to keep air travel safe, keeping quiet about it does seem to be a good idea if making your flight is important. I moved on before finding out how everything turned out, but I believe the pen went into the Bin of No Return. Since I packed the night before, kept my pack in the trunk, and drove straight to the parking company right after work, I didn't triple-check my pockets before turning my car over to the attendant and hopping on the airport shuttle. I made it all the way to collecting my boarding pass and, while digging my wallet out, discovered my Kershaw Leek still in my pocket. Luckily for me, there was a convenient stand for mailing prohibited items back home. If you look closely directly above the knife, you will see that for only $13.95 plus S&H (not to exceed $5) I can have my knife back. In 3 to 4 weeks. No favorite, familiar knife in my pocket for a month. This is not the first time I've mailed this knife to myself, but it is the most expensive trip home. Good thing I have another Leek (a black version!) that I bought several years ago for dressy occasions. This way, I at least have a familiar knife to carry; it's just not the stainless steel version that I don't worry about leaving in the bottom of my pocket, or taking a beating if I drop it. I don't plan on abusing the black one over the next 3 weeks. I hope. Getting through airport screening can be affected as much by attitude as the contents of your luggage. Nothing was purchased (luckily!) this week. I really don't NEED any more knives (but WANT is another matter). Like many Americans, I went camping with family and friends this past weekend. Any trip has the potential for problems, and on this trip, we had a tire go flat about 15 miles down a dirt road. In this age of everyone having roadside assistance, the ability to change a tire is becoming a dying skill. 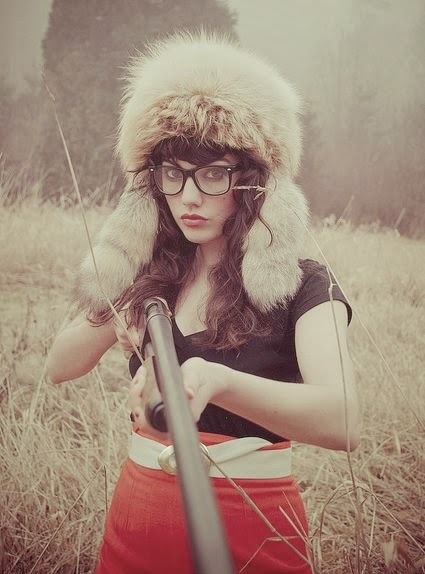 That's fine in the city, but when you go places where cell signal doesn't exist, you have to learn to do it yourself. Step Zero in changing a flat tire is knowing where your tire tools and spare tire are located. You should do this within the first day or two of owning a vehicle. Your owner's manual will give you the specific locations for these items. Make sure you can change your tire safely. Get as far off the road and away from hazards as possible, turn on your emergency flashers if there is traffic on the road, set your emergency brake and block the wheels on the side of your car opposite the flat. Changing a tire is inconvenient; having an incident while changing a tire can be deadly. Retrieve the spare tire and tools from their storage locations. Having them ready now will save time and effort later. Loosen your lug nuts before you jack the vehicle off the ground. The friction of the tire against the ground makes this far easier than it would be otherwise. Don't remove the lug nuts at this point; just break them loose so that you can spin them with your fingers. Locate the jacking point on your vehicle nearest the flat tire. The owner's manual will give you a general location for this, and when you look at the underside of your car, you'll usually be able to see a reinforced area where the jack goes. Older cars have solid frames and don't need these points, but newer cars aren't as stout, and can be damaged by jacking in other areas. Place the jack under the jack point and extend it fully to lift the car until the tire is fully off the ground. Be sure to lift high enough for the spare tire to fit on the lug studs. Now remove the lug nuts and the tire. Seat the spare tire on the lug studs. Thread the lug nuts finger-tight to hold it in place. Once all the nuts are tight, snug them down with the lug wrench. Lower the jack until the car is on the ground. Use the lug wrench to tighten the lug nuts in a cross pattern. The pattern used will depend on the number of lugs on your vehicle, as shown. If you have an undersized spare tire (often called a donut or dummy spare, and very popular in modern cars) proceed directly to a tire shop without exceeding 55 mph, because those tires are only rated for short distances and low speeds. Full sized spare tires can be driven normally until you can get to the shop. Some days you have to be your own roadside assistance. Be ready. I'm not celebrating Memorial Day with a cook-out and beer. I haven't in a long time. To me, this day is reserved for remembering those who died fighting for their country, whichever country that may have been. I will be visiting a few cemeteries and decorating some graves as I remember and commemorate the soldiers, sailors, and marines in my family. I am a Cold War veteran. I was a REMF (ask a vet what that means if you want the exact translation) and never saw combat. I maintained nuclear weapons in West Germany in the early 1980's when they were one of the main things keeping the Soviet Army from spreading Communism throughout Europe. Even though I never saw combat, a normal day at work involved large quantities of high explosives, highly radioactive materials, and chemicals that would peel the meat off of your bones. We had to trust each other not to screw up or one of us was going to get hurt or die. In the days before the invention of precision-guided munitions, tactical nuclear weapons were our answer to the roughly 3-to-1 numerical advantage that the USSR had over NATO troops and tanks. It worked: we won the Cold War, and Soviet tanks never poured through the Fulda Gap into western Europe. The US retired our tactical (or “theater”) nuclear weapons shortly after the Berlin Wall came down in 1989. I have friends who helped dismantle them and send the components to various storage sites. We are still bound by our security oaths, so don't ask; I can't get into details. My job in the US Army was mostly Monday through Friday, 0700 to 1700. I had free time to travel and since my room and board were paid for, I had money and a car as well. I wandered around a foreign country that was “First World”, so I didn't have to worry about much. The police weren't corrupt, the roads were well maintained, the people were friendly, the beer was cheap, the food was good (and safe to eat for the most part, although I won't touch Argentinian beef ever again), and there was a lot to see in what I consider a small area. West Germany was about the size of Iowa and Missouri combined, so everything was closer than you'll find in the USA. Most of it is also much older than than the USA. I was stationed in a very small NATO base in the northern part of Germany with very limited support, so I learned quite a bit of German just to get by. If I wanted fresh groceries, I had to go to town and know how to ask for them in German. This came in handy during my wandering, because it allowed me to read the plaques and memorials that seemed to be everywhere - if you took the time to look for them. 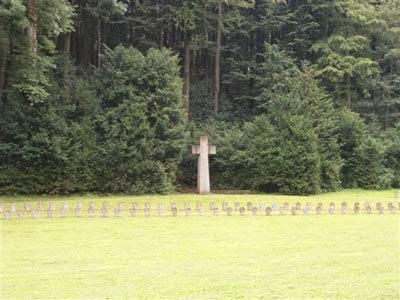 The picture to the left is of a war cemetery in Germany. I don't know which one exactly; there are over 400 of them in Germany alone. 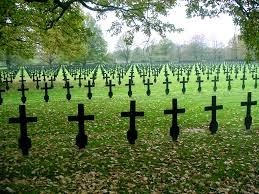 The last new WW2 cemetery for German soldiers opened in 2013 in Russia. Think about that for a minute. Over 70 years after the Normandy Invasion, and they're still burying their dead from that war. I know humans have a hard time envisioning numbers over ~100, but when you look out over thousands of grave markers it has an emotional and spiritual effect on you. The small picture to the right is the War memorial that was about 5 miles from where I was stationed. I was also about 10 miles from Wewelsburg, a castle used by the SS as a training center with a "small" labor camp at the base of the hill - small meaning that they only killed a thousand or so prisoners by working them to death. Walking though cemeteries like these brought home to me the sheer scale of human loss that war brings, but having seen East Germany first-hand (we actually drove through it to get to Berlin) showed me that war is not the worst that can happen. I am in no way condoning the actions or motives of the German government during the 1930's and 40's - they were inhuman and should serve as a reminder of how not to act - but the individual soldiers served their country and did what they were taught and told to do as best they could. 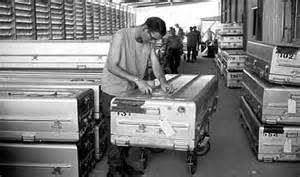 This picture is of Graves Registration during the Vietnam War. With the invention of computers and rapid transport, most of the casualties of war were shipped back home for burial by family instead of being interred in graveyards close to the scene of battle. The large battle cemeteries have become a thing of the past. The trend today is large cemeteries here in the USA for burying the veterans of our many wars as they pass away from age, disease, and sadly, suicide. I have family members who served in Viet Nam, and several friends who lost family over there. I also had uncles that served in and survived WW2 and Korea. One of my grandfathers fought in France in WW1, and we are fortunate to have his medals. I have talked with many troops that made it back from Grenada, Panama, Iraq, Kuwait, Afghanistan, and a few places that are not mentioned in the nightly news, and they've all lost friends and comrades. The term “brothers in arms” has a special meaning to those of us who have served in the military and experienced that unique bond of trusting another person with your very life. Please enjoy your family and friends this holiday weekend, but I ask that you raise a glass to the men and women who died in order to ensure that you have the freedom to do so. Being forgetful (and poor) has lead me to create some unique solutions sometimes. Now I can't verify how crafty this solution made me, and I will it's success at a later date, but it seemed worth sharing. Speaking of sharing, I picked up a great little tool (so far) for $5. For its performance so far, I'd definitely call it frugal! Test #2 is done! 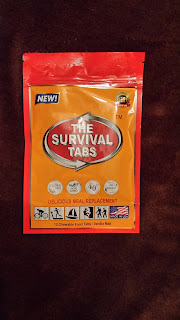 I tested these the same way I am testing all of the various emergency rations, by using them to replace a meal or two during my spring hectic period at work. I'm out in a field or driving a truck for 12-14 hours a day (when it's not raining) and have to pack a lunch anyway, so this is an easy test for me. I'm also usually tired in the mornings and don't grab a proper breakfast, so having something that doesn't require cooking that is also filling and nutritious makes my life a bit simpler. This is the ER Bar, from Quake Kare in St. Louis, MO. At $6.14 per package, this one comes to $2.05/day, which is cheaper than coffee and a donut from most shops, and these are better for you nutritionally. I snapped a picture of an unopened package next to an open and half-eaten one, with one portion turned on edge to give some sense of the thickness. The ER Bars come vacuum-sealed inside a resealable pouch, and it is a single block that is scored so you can break it into six pieces. (If you look at the package on the left, you can see the scoring because of the vacuum seal.) Each piece or portion will provide around 400 Calories* and the maker suggests eating two portions ($1.03 each) per day to make the bar stretch for 3 days. Personally, I'd rather carry an extra bar or two and eat three times a day for 1200 Calories; that's closer to a "normal" diet and would provide the extra energy that I will need. Remember, I live in the northern half of the USA, and it takes extra energy just to stay warm about half of each year up here. *There is a reason that I capitalize the "C". Standard physics/chemistry notation uses a lower-case "c" to denote a calorie (the energy needed to raise the temperature of 1 gram of water 1 degree Celsius) and a upper-case "C" to denote a kilocalorie, 1000 calories. The kilocalorie is a more convenient unit to work with when dealing with anything outside of a lab. The ration bar is compressed and slightly dry. The scoring to mark individual portions is only on one side of the bar, so getting it to break cleanly at the line was a challenge. There was a slight tendency for the edges to crumble or flake off, but nothing severe. Even though the portions were slightly dry, they were not thirst-provoking. I normally have to wash down most food with some sort of beverage, but these were OK to eat by themselves. The texture was finely grained, and nothing stuck to my teeth or coated my mouth or throat. The portions may appear small, but they were filling enough to ease any hunger pangs I may have suffered. This is good for morale, since nobody is happy when they're hungry. It was quite easy to survive until the next meal, even if I didn't eat a real meal until evening. The flavor is sweet, but not strong enough for me to identify as any particular fruit or spice. 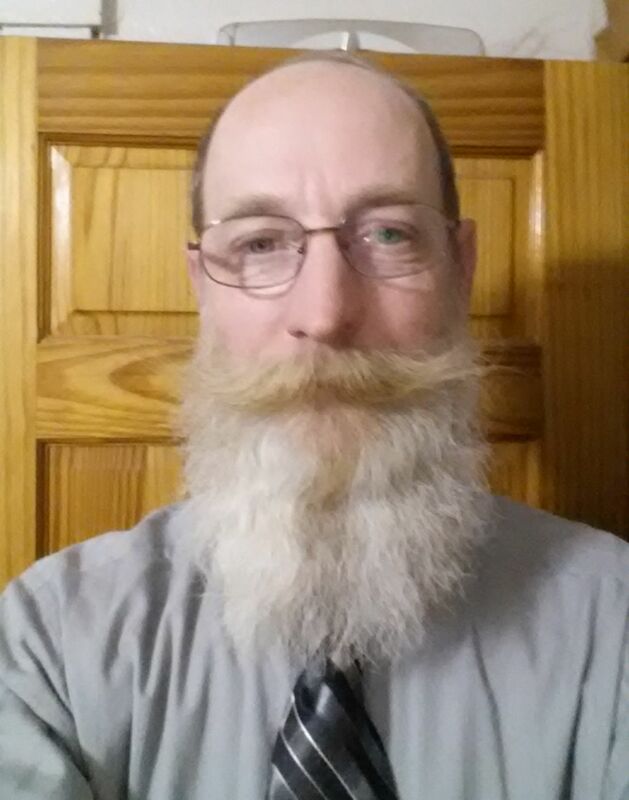 (I will admit that my taste buds are less than perfect; 35 years of smoking tobacco tends to kill them off.) "Pleasant and agreeable" is the best way I can describe the taste. 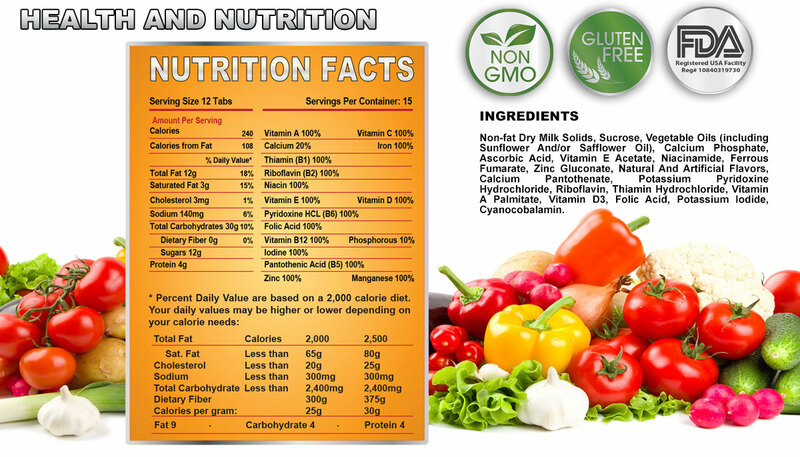 The ingredients are fairly simple; wheat flour, palm oil, sugar, corn syrup (sugar), soy flour, cornstarch, flavoring, dextrose (another sugar), colors, preservatives, and vitamins. Note the wheat and soy content if you have food allergies! There are no animal fats, coconut, or nuts to set off sensitive stomachs, though. Coast Guard approved, so it has a 5-year shelf-life and can handle temperature extremes from -22 to 149 °F. This makes it a good candidate for storage in a car or cache. The resealable pouch works very well. It was nice being able to reseal the leftovers and not have to worry about dust and other things getting on my food. Once the ration bar is gone, the pouch would be handy for storing other things that I might want to keep dry (tinder, socks, etc.) and it was one of the sturdier packages of the various brands I'm testing. I bought a pack of four of this brand, and all four arrived in good condition with the vacuum seals still intact. "Manufactured on" dates were within the last six months, so they still had most of their five-year shelf-life left. I would be content to carry this brand of emergency rations in a get-home or bug-out bag. They meet my minimum requirements of tasting good, alleviating hunger, not costing much, and being fit to store anywhere. I will probably add one of the left-over packs to my truck bag and another will be cached in my wife's car. My son's birthday was a couple months ago, and since I have never been to his home, I took off right after work last Friday for a visit. He had received his present well before my arrival, but waited for me to help him with finishing it. But what, exactly, was it? The universal fit Easy Jig® is a patented router jig that makes machining your 80% lower easier, faster, and safer by utilizing a router instead of a drill press. 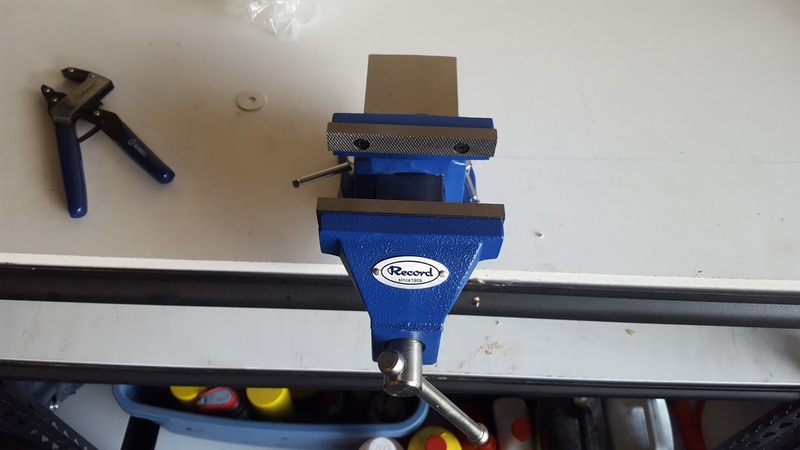 The Easy Jig allows you to complete an 80% lower in about 1/3 the time it takes to complete a lower on an old style drill press jig. This jig is easy enough for a caveman to use. It definitely lives up to its name. You also save money on tools. You do not need to own a drill press, mill, or any measuring tools to use the Easy Jig. The Easy Jig is built like a tank (weighs over 6 lbs) and can be reused for dozens of lowers. For those planning to use their jig for 20+ lowers, we offer optional hardened steel drill bushings in both side walls. The reviews of the included jig were what pointed me to this combination, since lowers of about the same price (with minor exceptions) are very similar in quality. The website is informative with easy-to-understand descriptions and directions. 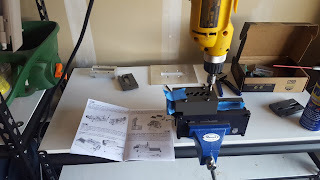 There is a YouTube video that is a very good complement to the instruction sheet included with the jig. I strongly recommend watching the video while reading the manual to get a real understanding of the whole process. 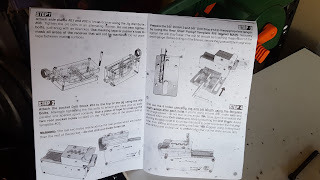 The instructions state that a lower can be completed in an hour, but in my son's experience, that is very optimistic. That being said, with some practice setting everything up and being familiar with how to perform all the steps without referring to the instructions repeatedly, one hour might be possible. Maybe. After running many, many lowers. A vise. A large one is not necessary but one is absolutely needed, along with bolts to mount it to the work area. Light weight oil or WD-40 to lube the drill bits and end mill. 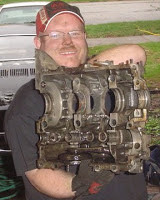 Brake cleaner, carburetor cleaner or acetone (or another fast drying solvent) to remove the oily mess after you finish. A small hex key set for installing the screws. Safety glasses and ear protection, especially when using the router. No one needs to collect 25,000 rpm aluminum pieces with their eyes or listen to the high pitched whine of the working router. A shop vacuum to pick up all the tiny aluminum particles. Buy a vacuum, there will be aluminum dust everywhere. Extra steps were taken to protect the exposed surfaces of the lower from flying particles and accidental bashes from drill bits or dropped wrenches. The small vise my son bought did not have reversible jaws, so extra care was needed when clamping the jig down. When drilling several of the holes through the side plates, it is possible to have part of the lower accidentally in contact with the rough surface of the jaws. 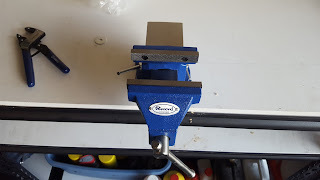 This is a Bad Thing, as the aluminum of the lower is softer than the steel of the vise jaws, and this can lead to scarring (or worse) of the lower. Padding the jaws with cardboard seemed to keep scarring to a minimum. One of the reasons that assembly took so much extra time was double and triple checking all the measurements involved. The directions were very easy to follow and well written. Because we referred to the instructions so often, we didn't think to keep them off the actual work bench. Drilling and routing the lower sprayed oil everywhere. All of the parts needed to finish the lower are in the kit. However, depending upon your lower, you may need to replace the large (3/8") drill bit before you finish the project*. 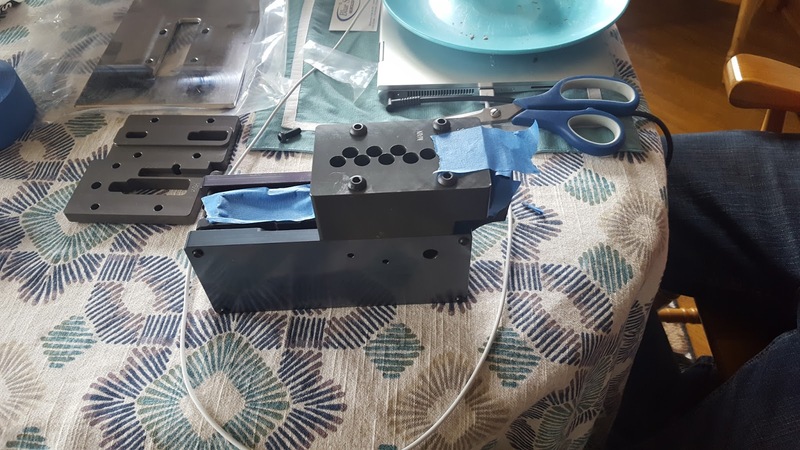 The other drill bits are only used for two holes each, and those holes are only through the thin side plates, while the large bit makes ten holes over 1" deep. There should be no problem using the smaller bits for multiple jobs, in my opinion. 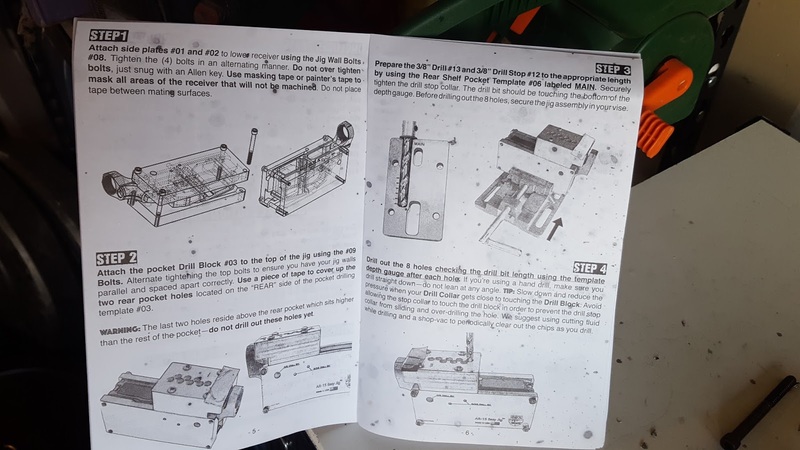 * We had to buy a replacement drill bit because my son was pressing so hard with the old bit that the jig was moving in the vise, causing some minor damage. It wasn't enough to cause problems with drilling accurate holes, just some scarring on the jig face. Fortunately, the new bit made the process faster and easier. Doing the research to find a reputable company is key. Having everything needed to finish the job included and clearly marked was fantastic. If we made a mistake and ruined the lower, 80% Arms will sell you a replacement for 50% off the regular price! 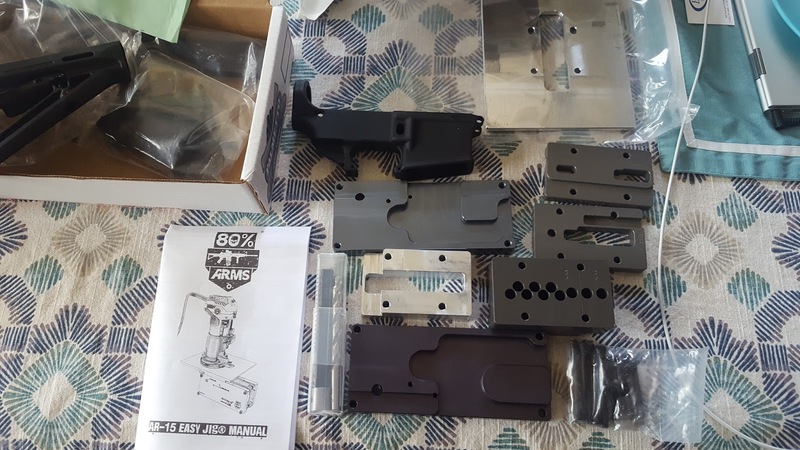 One 80% Arms AR-15 lower and Easy Jig: As a gift for my son, priceless; for everyone else, $248 (free shipping on orders over $200). These items were purchased by me at the prices listed on the website. Nothing else was purchased or removed from my gear. Lately there has been an epidemic of Avocado Hand. You don't want to contract it, so today I'll show you how to avoid this potentially crippling condition. 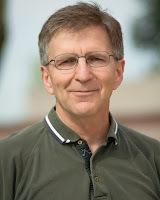 This article was brought to my attention courtesy of Firehand. I meant to post it Monday, but I had a crippling headache all afternoon and I forgot, so I'm posting it now and back-dating it. 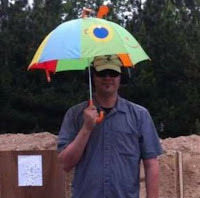 I've spoken about the Vacation State of Mind and the "Safetyland" mindset on the GunBlog VarietyCast, but this article is an excellent follow-up to both of them. 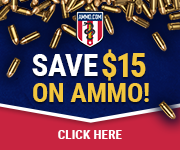 Read it at No Nonsense Self-Defense. Today I'm kind of phoning it in (if you will) with this week's vlog. However, do NOT miss the message of time being limited! We are all slaves to time, so get help where you can, and relax when you can. The first test is done! This week I will be discussing The Survival Tabs (TST). I tested these the same way I am testing all of the various emergency rations, by using them to replace a meal or two during my spring hectic period at work. I'm out in a field or driving a truck for 12-14 hours a day (when it's not raining) and have to pack a lunch anyway, so this is an easy test for me. TST was developed back in the 1970s for NASA. 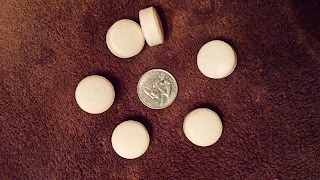 They contain 100% of the recommended daily allowance of 15 vitamins and minerals, with an emphasis on the B vitamins. They have a 25 year shelf-life. I've seen these advertised for years and have been looking forward to trying them out, so when I got a chance to get some through Amazon I took it. An eight-day supply of food for $24.95, with free shipping outside of Amazon Prime (they send them USPS), breaks down to $3.12 per day - less than the cost of a cheeseburger at most places. I expected to get a mix of the four flavors that they make, but they must have been out of chocolate because I only got the vanilla, butterscotch, and strawberry. The tabs came in resealable foil pouches with 12 tabs per pouch. The instructions were to “eat” one tab every hour for 12 hours to get what you need for a day. I do like the resealable pouch for something that contains food meant to be consumed over a period of time; it keeps bugs and dirt out of my food. As you can see, a day's worth of TST (12 tabs) only provides 240 calories. That's great if you're trying to lose weight, but nowhere near enough to sustain an active adult. They claim a person could live for a month or more on nothing but their tabs... which isn't saying a whole lot, since you can survive about three weeks without any food at all. This was the first indication that these were a poor choice. They mention that their tabs provide enough nutrients to maintain “dexterity, stamina, and coordination”, but fail to mention mobility and strength. When you consider that they were developed for a space program where the astronauts were crammed into a capsule about the size of a VW Beetle for a mission that lasted about two weeks, having a food supply that was totally absorbed and created little to no solid waste was a major plus. Working in micro-gravity, or on the moon, would require fewer calories than doing the same work on Earth, so having roughly 10% of a normal daily caloric intake wouldn't be as much of a problem. The emphasis on the B vitamins is similar to the energy drinks you'll find on store shelves, as they give you a boost in energy similar to caffeine. Here's what the tabs look like, with a quarter in the center for scale. I turned one of them on edge so you could get an idea of how thick they are. Given their size and shape, I think that packaging them in a tube would save space over the pouch. They are not filling. "Low volume" means that your stomach is still going to be mostly empty after eating them, which means they lack the morale-boosting potential of most emergency rations. The milk solids base may provide protein, but it also has the coating effect of milk on your mouth and throat. While not exactly thirst-provoking, they do require water to wash the film of milk out of your mouth. The residue tends to stick to dental work. I have fillings and felt like I needed to brush my teeth after chewing one of these. The flavor marked on the bag is meaningless. The milk solids overpower any attempt they may have made to add flavor, with the strawberry being the only one I could taste at all. Think of a dry, weak milkshake and you'll get the idea. The manufacturer is unknown. “Distributed by” does not mean “Made by”, and I like to know where my food, especially emergency food, comes from. I don't trust food from certain foreign countries due to bad experiences and food poisoning in the past. This product may have a place on the shelf of a bomb shelter or other sealed space where toilet facilities are limited, but for the everyday prepper they're almost worthless. The 25-year shelf-life is a plus, since most emergency rations only tout a five-year shelf-life. If you are even the least bit lactose intolerant, avoid these for the obvious reason that they are almost all milk solids. I mentioned in my previous post that nutritional deficiencies take weeks or months to develop in a person that has been eating a balanced diet, so give these tabs a pass and spend the money on a bottle of quality multi-vitamins instead. I spoke to an acquaintance who makes Kydex holsters about another friend who has a problem with battery life when carrying a laser-equipped pistol in a sling bag - specifically, the laser is toggling on and off due to how snug the fit is, which is draining the battery well short of its projected life. My acquaintance's suggestion is to make a minimalist 'holster' to cover the laser, indexed to and covering the trigger guard (for safety), and to have Velcro on the back to keep the pistol oriented in the carry pouch correctly. Essentially, it's a concealed carry version of a competition holster. Everything needs to be as clean, smooth and small as possible because there isn't any free space in the pouch. Since this is a one-off prototype, working it into the store's schedule means the first run at it won't be for at least a week. I have been promised a phone call when work starts so pictures can be taken during the design and fabrication! I mentioned the Gerber tool last week, and I said that I needed to find some of my existing multi-tools. After digging into box after box of stored gear, I found two others for this test. I can't find a picture of this exact model or a name or model number anywhere on this tool, but it is smaller than the Wave, has eight tools to the Micra's 10, and has jaws but not scissors. This model is obviously discontinued. This is not a real test, just a model to model comparison, since the tools vary too much in features and size. If I needed to carry one heavy duty tool, it would be the Gerber. If weight were a factor, the Leatherman would be my choice. If I were to carry a multi-tool every day again, I would have a hard time choosing between the Bear and Gerber. 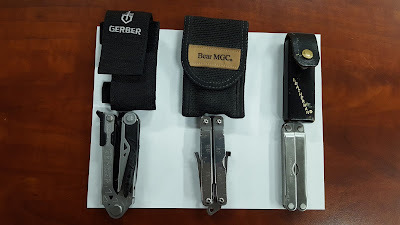 With the MOLLE mounting option, the Gerber is more than likely going on one of my bags. Having backups is always the best way to go. Three is two, two is one and one is none. Having industrious friends with skills is great. Custom Kydex is even cooler. Nothing was purchased this week or removed from my stores. A friend of mine inspired this post with some musings about how to tell if his refrigerator had stopped and if its contents remained good. Luckily for him, it was just his garage fridge and he only had to suffer warm beer. It reminded me of a handy trick my grandmother taught me years ago to make sure food in a freezer was still safe. Due to their intermittent run cycles, it can be hard to tell if a freezer has stopped functioning until it's too late. In addition, extended power outages can lead to foods defrosting and spoiling before re-freezing. If that food is in a freezer that is not frequently accessed, you might not know your food is spoiled until you are already sick. Food poisoning is painful at best, and can even be lethal. This is the free way to keep a bad case of the guts from taking you down: a cup of ice cubes in the corner of my freezer. As long as they look like ice cubes, I know that my freezer has not gotten warm long enough to ruin any of my food. If my freezer were to go out long enough to spoil food, the cubes would melt. 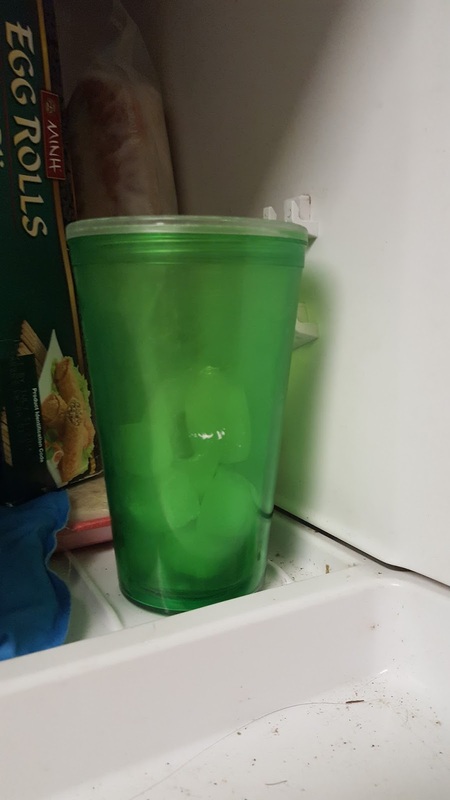 If the freezer then restarted, I would have a solid block of ice in the bottom of that cup, and would know for sure that things need thrown out. The only thing this costs me is a cup (this one happened to be a freebie somebody gave me) and ice cubes. It is dry enough where I live that the ice actually evaporates, so I have to replace the cubes about once a month. Other than that, it's free and obvious when I open the door. Just some time-honored wisdom from grandma. When I was in college <mumble> years ago, I was active in ROTC. In my sophomore year of the military science program, I was chosen to be the “swimmer” for a rope bridge team in a demonstration we were putting on for the freshman cadets. My role, as you might have guessed, involved me crossing a waist-deep river with a rope tied around my waist, which I then tied to a tree. I did this multiple times a day. 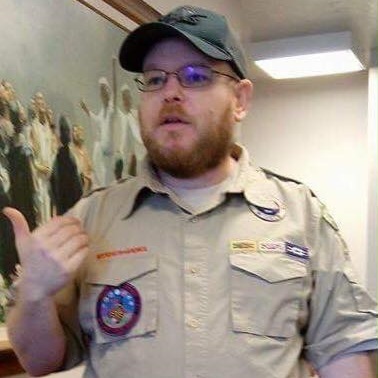 On this edition of Forgetful Frugal Friday I discuss some of the opportunities available to us "common folk" where we can make our little communities safer while getting training and gear for free from the Federal Government. 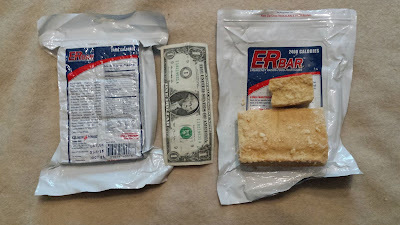 In the next few weeks I will be reviewing/testing/comparing various “emergency food bars”. I reviewed a cheap one a while back that is available at Wal-Mart and doesn't taste too bad. This time, I bought six different brands of survival food bars and I am waiting for them to be delivered so testing can begin. 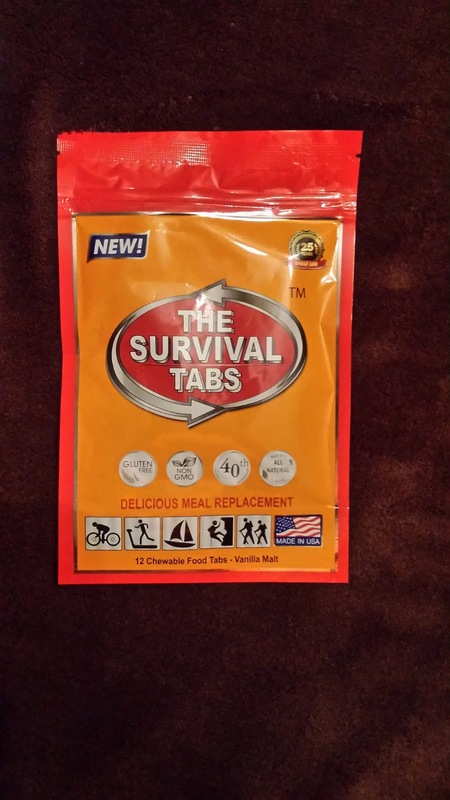 Before I start the reviews, I thought it might be helpful to look at the concept of “survival” food bars. What is their purpose? Do they accomplish that purpose, or are they just over-priced cookies, as some people (no names) tend to believe? The idea of being able to carry three days worth of food in a pocket is nice, but since the “Rule of Threes” mentions that you can survive three weeks without food, it's more for morale than it is survival. Having something, anything, to quiet a growling stomach or make a hungry child a little more comfortable is worth more than the questionable nutritional content of some of these emergency rations. 72 hours (three days) isn't all that long; you'll get hungry because you're used to eating three or more times a day, but you're not going to die of starvation in three days unless you were well on your way beforehand. Your body needs macronutrients like protein and fat to keep functioning, and your body can break them down into carbohydrates (calories) if need be, but fats and oils don't store very well. Your body can also convert carbohydrates into fat, but proteins are a different matter — without the correct amino acids, you can't produce your own proteins to build and repair muscles. Calories are the fuel your body will need to burn to keep up with your activity level. Sitting in a lifeboat waiting to be picked up by the Coast Guard takes a lot fewer calories than chopping wood to heat your house after a blizzard has taken out the power lines and closed the roads. Most sealed food packs sold as “emergency food supplies” tout a shelf-life of at least five years. This is actually a US Coast Guard mandated shelf-life for emergency rations that has carried over into civilian marketing. Read through the requirements for lifeboat rations and you'll see that they are common sense, rational requirements. Most emergency food bars are designed to provide around 1200 Calories per day. This is well below the USDA recommended 2000 Cal/day, but is enough to keep a person alive. I've seen weight-loss diets that go as low as 800 Cal/day, so 1200 isn't quite starvation. Depending on your metabolism and activity level, 1200 Cal/day could be plenty or a pittance, but it's better than nothing. Check the website for information about minimum and maximum daily vitamin intakes; they have a lot of information laid out in a legible format. 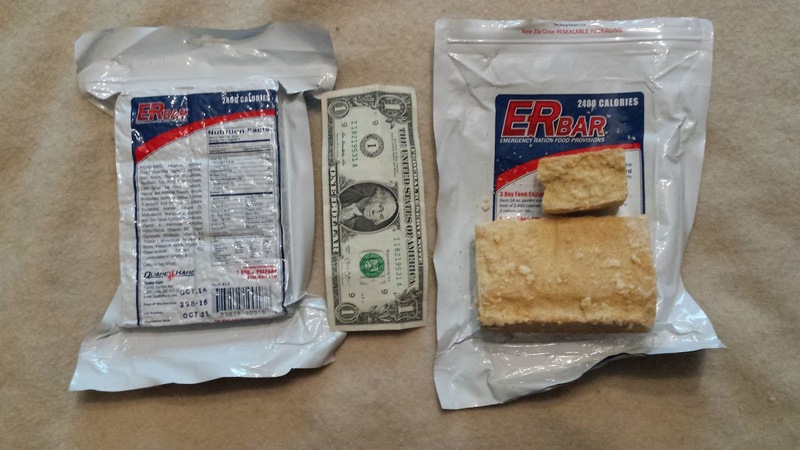 Most of the life boat rations are vacuum-sealed and come as a single bar that is intended to last three days. This is a poor design as far as I'm concerned: once the package is opened, the leftovers can't be sealed back up and are at risk of contamination until they're eaten. In my review I'll cover how each brand addressed this issue. Most of the ration bars I've seen are also as hard as a board, with sharp corners. This is something to watch for if you're carrying them in a thin or soft pack. Trust me, having a hard object poke you in the kidney for a 15 mile hike is beyond “no fun”. Flavors are subjective. I know most people would prefer sweet over sour, but once you start trying to compare apples and cinnamon to raspberry, it gets down to personal preference. I'll be looking for whether or not the bars taste anything like what is advertised. I'll also be looking for unpleasant tastes and after-tastes. If it's nasty, nobody is going to want to eat it until they get really hungry. I'm used to seeing emergency rations that are safe for vegans, but I'm starting to see some that are marked GMO-free, and I think I even saw one advertised as gluten-free. Being assured that something is free of pork or beef or meat in general is important for some folks, and I'm glad that they have options. 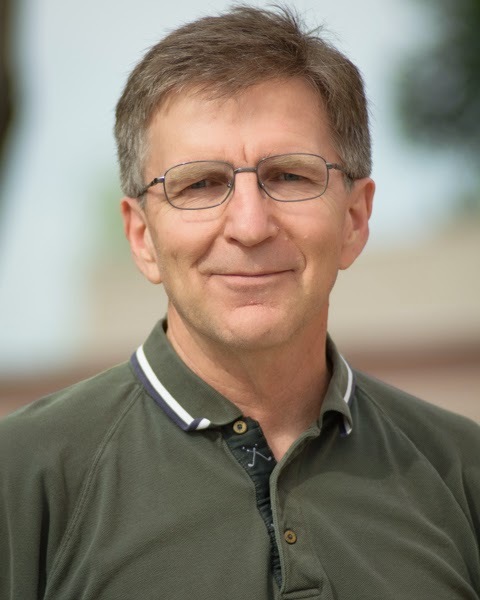 The GMO-free claim is almost impossible to verify — I work in agriculture and know that well over 90% of all grain on the market is modified in some manner. Gluten sensitivity is a real problem for some people (I know a few), but it has become a fad for people who don't have anything else to whine about. Either way, it's nice to have options. Other things I will be looking at are weight, shape, and cost. I'll be testing each brand individually and comparing them to the others as I go through the testing. Expect to see a few charts and maybe even a simple spreadsheet or two. All of those years of working in a chemistry lab have left me with a few bad habits, spreadsheets is one of them. To clarify before I even start the testing: I bought these samples with my own money and none of the sellers or producers of these products are even aware that I am doing this comparison testing. Nobody is paying me to do this, so you can expect an honest review. We're strange like that here at BCP — we don't shy away from giving bad reviews when they are warranted. 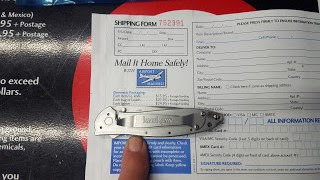 On the Blue Collar Prepping Facebook page ,Darryl Hadfield offered us an opportunity to save serious money on a Gerber Center Drive multi-tool via a $76 Group Buy. Due to moving several times and a lack of space, many smaller items that I own and would like to use can't be found easily. I have storage totes stacked almost to the ceiling full of books, mementos and things that were in cabinets I don't own any longer. In one of them is at least one Leatherman (and more than likely three), so the chance to get a new tool I can put my hands on quickly was too good to pass up. It came in the mail yesterday. This isn't really a test but a first impression. 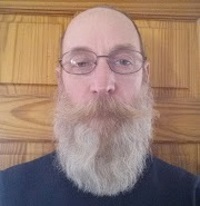 What's my impression? Very Nice! What a tool it is! I now regret using the name One Tool to Do It All, because this beauty comes much closer to that description than a mere screwdriver ever will. I have owned many different multi-tools and really like having one around or on my belt. Previous jobs didn't have me carrying around 1.5 lbs of waist-mounted gear, so a Leatherman (or similar) wasn't an actual drag on my belt. 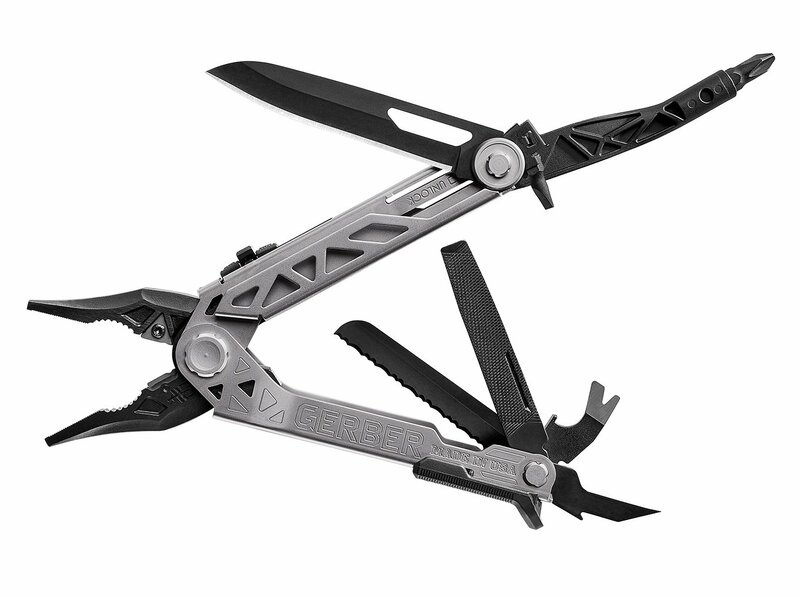 "Gerber’s new multi-tool offers uncompromising performance through revolutionary design. The innovative center-axis driver opens to align like a real screw driver, yielding maximum torque and rotation. No productivity is sacrificed with the addition of a 30% longer outboard blade and one-thumb opening sliding jaws. Full size, real tools - the multi-tool just got a reality check." Previous versions of the Gerber multi-tool allowed the user to snap their wrist down quickly to extend the jaws, but this model uses a sliding button (seen in the picture, close to the jaws) to unlock the handle and extend the jaws. I prefer the slide to the wrist-snap. Now I have to dig into my stored gear to find a Leatherman so I can test them head-to-head... or jaw-to-jaw, as the case may be. A no-fooling, solid multi-tool at a great price! BCP Group Buy price: $76 including shipping. "Nobody hunts with an AR-15!" This statement is uttered on nearly a daily basis, but it's not true. I hunt with an AR-15, one built specifically for the purpose. The firearm in this video demonstrates one of the neatest parts of an AR pattern rifle: its modularity.